Teaching gifted children will take a lot of patience from the teachers as well as the parents. These children will question authority and can be very critical of themselves and others. Children who are gifted like to flit from task to task as their minds are assimilating so much information and they want to soak all of it in at once. As their teacher you’ll work very hard to keep them on task and off of the potential rabbit trails. A classroom with minimal distraction is imperative for success while teaching these children. Keeping lessons exciting and innovative may be a challenge to some, but when teaching gifted children, it’s a must. These children can easily become bored since they have already learned that lesson or skill. They will have to be challenged at the highest level to keep them on task and learning even more about a specific skill or topic. Every student has their favorite topics. Gifted children are no different. You’ve met the child that can do all of their algebra in their head and make no mistakes. You’ve met the child that can spell anything after only hearing the word once. These children will want to focus on their favorites and not do any other curriculum. Helping them to expand their horizons and skills may be a real challenge when teaching gifted children. 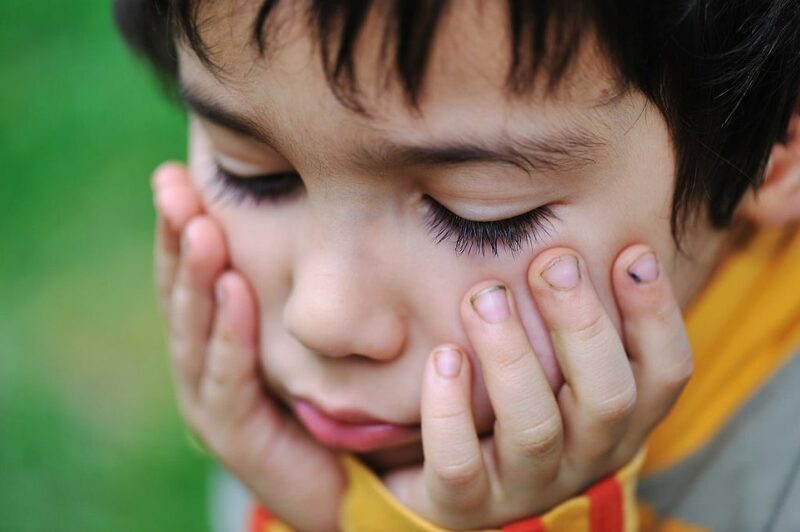 Authority is often a challenge for the gifted child and they can frequently get into trouble for their actions. Criticism is taken to heart and the child may throw down a project in frustration if the teacher asks them to change any details. When the teacher tells them a fact, these children will challenge it until they are proven wrong. Patience and steadfastness are musts if teaching gifted children. Many gifted children are perfectionists and will work on a project long after it’s done just to perfect one minor detail. It can be hard to dissuade them from working on a project after it’s finished. They also exhibit high expectations of others and can’t understand when others don’t measure up to their expectations. Teaching gifted children can be a very rewarding experience and teachers will often come away with just as much of an education as the students will. Parents and teachers will work closely to successfully teach these children in a school setting. 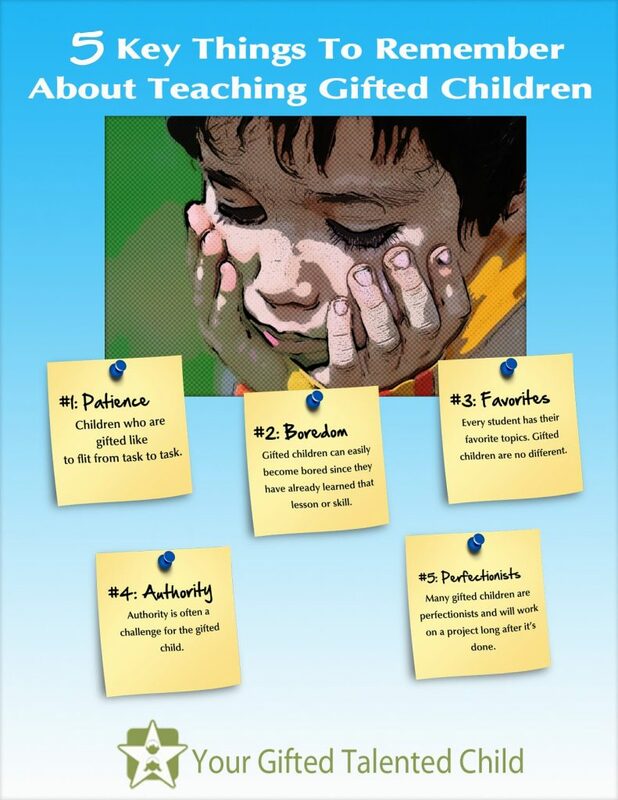 Read about the characteristics of gifted children…can you name 50?